There are two things, scientifically speaking, that all major fans of the Marvel Cinematic Universe love more than anything else: not having the upcoming movies spoiled for them, and desperately searching for information on the upcoming movies in order to spoil them. Fortunately/unfortunately for them, Marvel runs a tight operation, adhering to the "loose lips sink ships" adage more closely than most World War II-era experimental weapons facilities. But even the most close-knit international multibillion-dollar entertainment corporations occasionally let a clue through the cracks. In Marvel's case, this usually comes in the form of pre-release movie merch info being spotted by eagle-eyed fans with the passion and steely resolve necessary to pull an entire film's plot out of a Lego set like Jack Bauer car-battery-electrocuting the bomb codes out of a terrorist. Then again, other times they just sort of give the game away by accidentally advertising the wrong action figure. 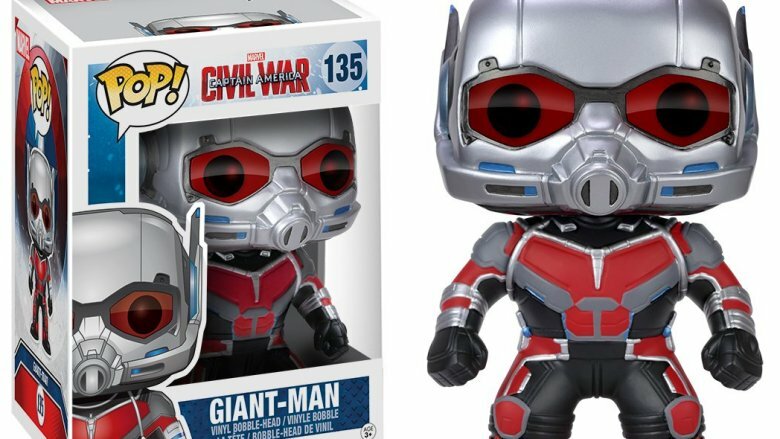 Here are a few of the times Marvel merch spoiled a movie. And, if it wasn't already pretty clear, yes, there will be spoilers. Bruce Banner, the tiny pink alter ego to Marvel's Brawly Green Giant, has never had an easy go of things. While other characters who were exposed to radiation got spider powers or super senses, Bruce got saddled with a higher-than-average shirt budget and the most severe case of bipolar disorder in pop culture history. At the end of Thor: Ragnarok, Banner had expressed concerns that he might not be able to transform into the Hulk again, a worry that was rapidly debunked when he pretty immediately turned into the Hulk again. Still, was this going to be a long-term problem? Fans would just have to wait until Avengers: Infinity War to find out. 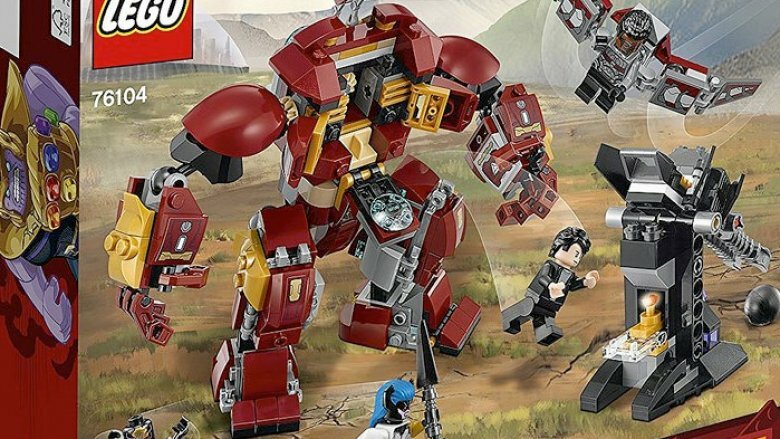 Or they would have, if Lego hadn't released promotional information on their brick-based adaptation of Infinity War's climactic battle scene. There, we saw a decidedly not-giant Bruce piloting "Veronica," the scene-stealing Hulkbuster armor from Avengers: Age of Ultron while fending off Thanos' army in Wakanda. Unceremoniously, Bruce's rage-based performance issues (and, in turn, a major plot point from Infinity War) were given away by tiny hunks of Danish plastic. Marvel heroes can seem perpetually stuck in a "two steps forward, one step back" holding pattern. It's part of what gives them their all-too-human charm. They win some, they lose some, and friend, Thor has spent the last couple of years losing some more than any other Avenger. While the Captain was outgrowing America and Tony was realizing that the real arc reactor was inside him all along, Thor was getting his Asgard royally handed to him by Hela, the militant secret sister he never knew he had. 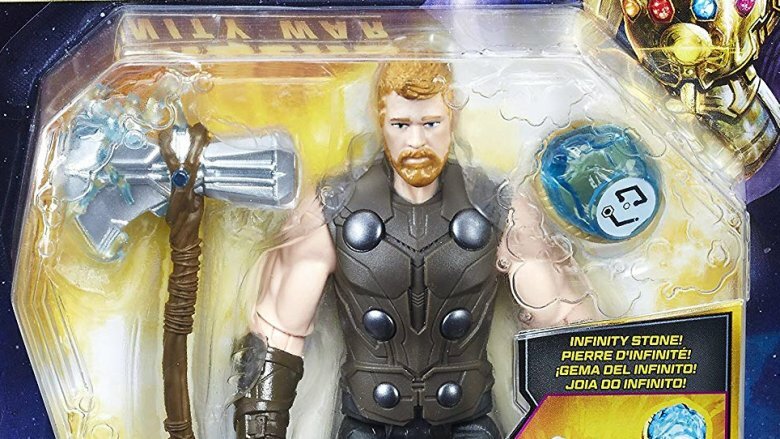 One of the biggest hits the God of Thunder took from a merchandising perspective came when he lost Mjolnir, the phonetically untenable hammer that he wore like a Renaissance fair security blanket. Lucky for him, a pep talk from his dead father at the end of Ragnarok reminded him that he never needed a hammer to be the best Thor he could be. 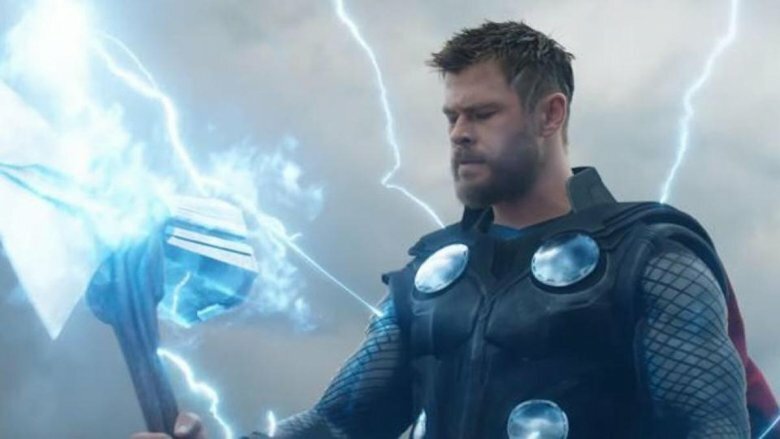 Fortunately for cosplay enthusiasts who appreciate the importance of accessorizing, the Odinson wouldn't go without a sick new hammer for long, and fans got a glimpse of his fresh armament early when pictures of the Stormbreaker replica toy leaked online ahead of Infinity War. 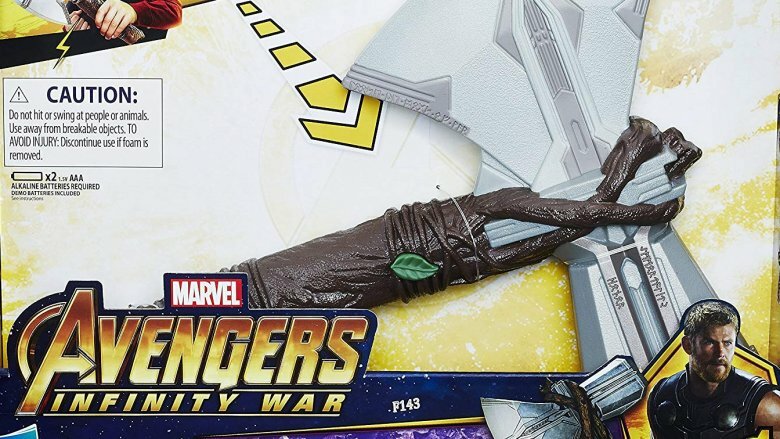 The more detail-oriented onlookers even noticed that its handle looked suspiciously Groot-related. Thor's sweet, sweet hammer wasn't the only casualty of his fight with Hela. We also lost the thunder god's home world, any hope of ever seeing an Asgardian wearing a sensible hat, and Chris Hemsworth's depth perception. During the final portion of the most uncomfortable family reunion since Leia kissed Luke, Hela strikes an especially cringy blow when she cuts out Thor's eye with about as much surgical precision as you can expect from someone waving a sword around. It was a great moment: It presented Thor as vulnerable and Hela as a villain threatening irreparable damage in a universe where, up to this point, "long-term consequences" pretty much just meant "we'll reference this in another movie." More than that, it gave a visual representation of Thor's journey to maturity. The once cocky warrior was humbled and breakable and that much closer to becoming his wise, monocular father. Anyway, it can't be easy to take a Hemsworth face and saddle it with a deformity in the long run. Infinity War saw Thor receiving a certified pre-owned eyeball from a talking raccoon, and the action figure that was advertised ahead of the movie saw audiences going "oh, he got his eye back and all of that visual storytelling meant diddly." It was coming in hot and turning a lot of heads: After 11 years of movies, Marvel was finally going to bust the glass ceiling when they released Captain Marvel, the first MCU tentpole property to star an adorable little kitty cat. The cultural zeitgeist of enthusiasm that followed the introduction of Goose in the trailers for Captain Marvel was a little peculiar, but not half as much as the big reveal about Goose's true nature during the movie itself. Goose the Cat was, as it turned out, neither goose nor cat, but a flerken. You know, a flerken? Think nature's perfect marriage of an H.P. Lovecraft anxiety nightmare and a Meow Mix commercial. It was a heck of a twist for casual fans, and an even bigger one for those Kree soldiers who'd thought they were such hotshots moments earlier. 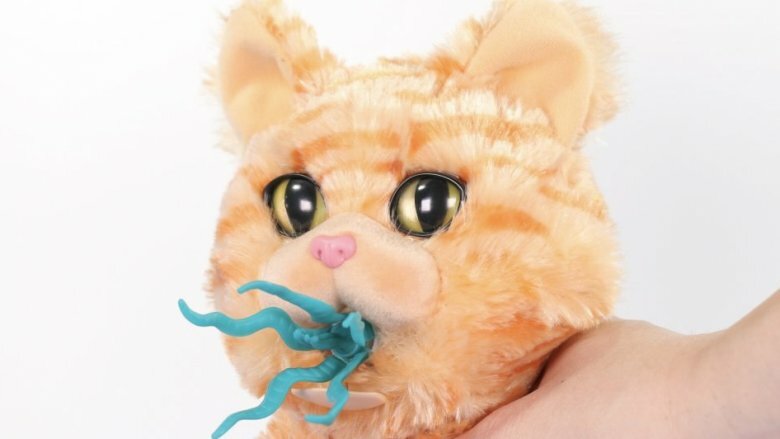 The only folks who weren't surprised were toy aisle enthusiasts, who noticed a difficult-to-ignore mass of hypercolor tentacles emanating from the mouth of the official Goose the Cat doll. Those things are going to mentally scar a lot of unsuspecting 9-year-old garage sale shoppers in about 20 years. There was so much to love about Guardians of the Galaxy Vol. 2. The characters were bigger. The stakes were higher. The Groot was more adorable. Most of all, you didn't know going in who the main antagonist was going to be. Sure, you had the Sovereign, but something about their uptight nature and refusal to win made them skew a little less Lex Luthor and a little more Wile E. Coyote. And there was no way it was going to be Ego, right? Ego was a cool guy. He was the intergalactic equivalent of a single dad who takes custody on weekends and always picks you up on his motorcycle. He was the kind of guy that lets you know there's beer in the fridge, just don't tell your mom. 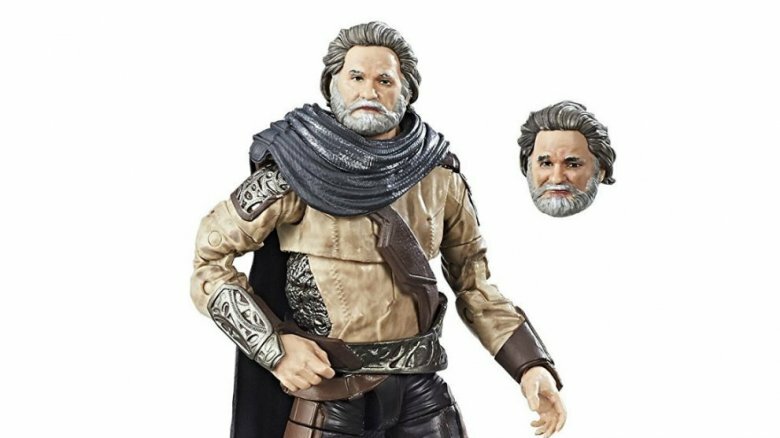 He was Kurt Russell, for Stan's sake. Sadly, Ego got his spot blown up twice: once very literally by Rocket and Groot, and the second time by the promotional copy on the back of his action figure, which told us that his approach to saving the galaxy would "unquestionably differ" from that of his son, the main character. Maybe it wouldn't have been such a huge spoiler if it hadn't essentially held up a neon sign that said "philosophically divisive villain this way!" Nothing gets Marvel fans going like the mysterious casting of a Hollywood star to an unspecified role. When Captain Marvel rolled around, the part of "enigmatic supporting character" went to Jude Law. Plenty of fan speculation circulated the internet. About half the crowd seemed to think he was playing Mar-Vell, the OG Captain Marvel (as long as you don't count Shazam). Most of the rest of the debaters thought he'd portray Yon-Rogg, an obscure Kree bad guy from back in the day. A few outliers probably thought he was going to be Fin Fang Foom or MODOK, but that had less to do with the evidence presented and more to do with the internet being a weird place. Then along came Funko Pop to ruin everybody's party. 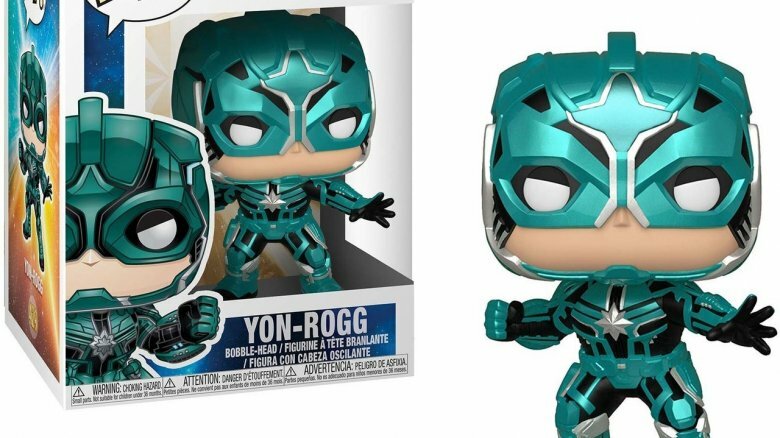 It turned out that Team Yon-Rogg was on to something, and all it took was a series of bobble-headed collector's items to prove it. Funko bluntly released promo photos of their Captain Marvel run of figures, and boom. There it was. Jude Law was Yon-Rogg, and any hope of not seeing his turn to villainy was just a passing familiarity with the comics away. Since he was first introduced to the MCU in 2011's Thor, Hawkeye has been a fan favorite, in sort of the same way that Meg is a fan favorite to the members of the Griffins in Family Guy. In a world of unkillable rage monsters and reanimated 1940s Vitruvian ideals, Hawkeye was a dude who could shoot arrows real good. You know, arrows. Those things that people pretty much universally stopped using back when bullets became halfway reliable. How was a man with an ever-so-technologically-updated version of a Lord of the Rings weapon going to spend two hours and 23 minutes meeting the same level of heroism as Thor? The answer wound up being "he wasn't." Hawkeye takes a chestful of Loki's staff magic and spends the first two acts of The Avengers as a brainwashed archery goomba. It winds up being a great way to establish him as a badass, especially after his one-man infiltration of the S.H.I.E.L.D. helicarrier goes down, and it was an unexpected plot twist. 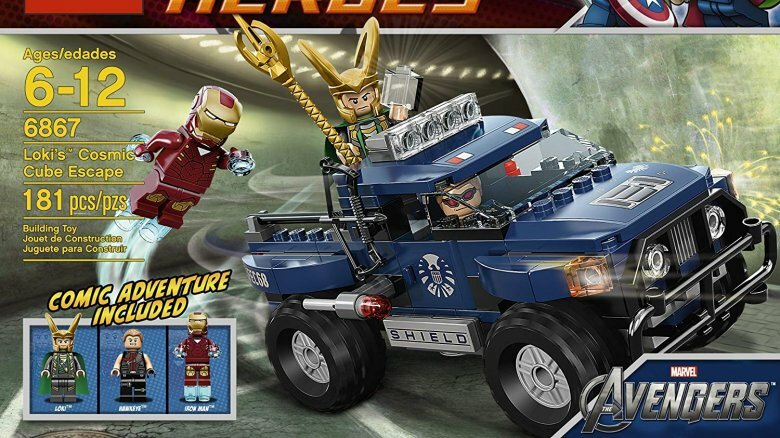 That is, unless you saw the Lego set where he's chauffeuring Loki around. There's a chance that Funko Pop just plain doesn't want us to have nice things. There's a chance that they think that if they take all the nice moments from us, we'll be compelled to fill that emotional hole with more Funko Pops. For example, Captain America: Civil War, aka It's Avengers 3 But Don't Tell Anybody, brought together most of your favorite characters from the last 75 Marvel movies and, in time-honored comic book tradition, made them punch each other a bunch. In the movie's stand-out fight scene, Team Iron Man and Team Cap face off on the tarmac of the Leipzig/Halle airport in a CGI battle royale for the ages. The showstopper comes when Paul Rudd's Ant-Man, assuring himself that he's the boss, the boss, the boss, turns into Giant-Man, one of his many comic book alter egos with the ability to grow instead of shrink and, presumably, talk to giants. This was the big-screen debut of Scott Lang's new power set, never advertised in the trailers. And it was all spoiled by Funko with a single Pop. Yeah, all it took was one Giant-Man figure to give away a severely awesome scene. Thanks a lot, adorable cartoon representations of our favorite characters. Carol Danvers gets a lot of well-deserved recognition for being the first female comic character to get her own MCU movie, and Black Widow has been the face of badass women in Marvel since she knocked out a hallway full of security guards in Iron Man 2. But if you're looking for the real cream of the rock star heroine crop in this franchise, you could do significantly worse than Thor: Ragnarok's Valkyrie. She beats up Thor, and she does it foul-mouthed and drunk. It's hard not to stan her pretty hard. So where was she during Infinity War? Well, all signs point to "not sure, really." 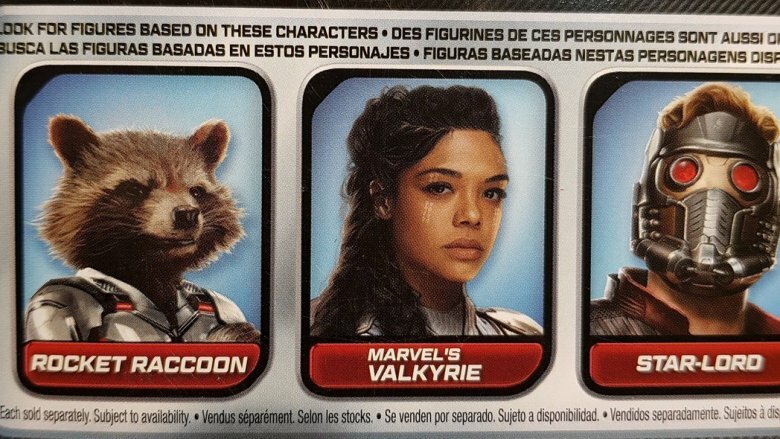 But if the action figures from the upcoming sequel Avengers: Endgame are any indication, the answer might be "biding her sweet time." Now, there's no way to be sure that Tessa Thompson's queen of the space warriors will actually be in the movie. Marvel has kept a tight lid on the details. That said, if a toy ruined this for us? Well … we'll be fine with it. Really it'll just be nice to have Valkyrie back again.